The Tennessee Supreme Court has revised one of its rules to require new lawyers to complete a course focused on the law in Tennessee before they begin practicing law. This requirement comes in the wake of the court’s adoption in April of the Uniform Bar Examination and ensures that new lawyers are knowledgeable about both general law and Tennessee law. The UBE does not test on Tennessee-specific law. The Supreme Court’s revision to Tennessee Supreme Court Rule 7 includes the establishment of the Tennessee Law Course and provides an additional layer of required knowledge specific to Tennessee law. Before adopting the Tennessee Law Course requirement, the Supreme Court appointed a committee to study the need, feasibility and scope of a required course on Tennessee law. The Supreme Court adopted the committee’s recommendations to require completion of the Tennessee Law Course before admission to the Tennessee bar. The course will highlight the distinctions found in Tennessee law. Course topics will initially include: professional responsibility, administrative law, constitutional law, criminal law, torts, property, Tennessee court rules, business organizations, wills, estates and trusts, and family law. Professors from Tennessee law schools and Supreme Court staff attorneys will assist in preparing and presenting materials for the Tennessee Law Course. The course content will be reviewed periodically to add, modify, or delete content as required. 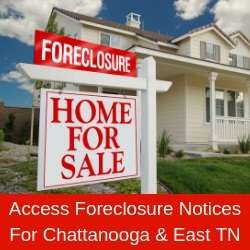 The course will be delivered digitally, and outlines will be available on the Tennessee Board of Law Examiners website. “The adoption of the Uniform Bar Examination and a Tennessee Law Course is a positive development for the practice of law in Tennessee. All newly licensed attorneys, not just those sitting for examination, will receive instruction in Tennessee law, which will benefit the public,” says Jeffrey Ward, president of the Board of Law Examiners and chair of the Tennessee Law Course Committee. Justice Sharon G. Lee, liaison to the Tennessee Board of Law Examiners, expressed the court’s gratitude to the Board of Law Examiners for its work in advancing bar exam testing methods; to the Tennessee Law Course Committee for its study of the requirements and methods for delivery of the Tennessee Law Course; and to law professors at Belmont University College of Law, Lincoln Memorial University Duncan School of Law, Nashville School of Law, University of Memphis Cecil C. Humphreys School of Law, University of Tennessee College of Law and Vanderbilt University Law School as well as Supreme Court staff attorneys for their willingness to assist in preparing and teaching the course. The UBE will be given for the first time in Tennessee in February. By January, the Tennessee Law Course will be online for applicants to complete. Applicants will be provided instructions once they have been approved by the Board of Law Examiners for licensing or with the notification of a successful bar examination.